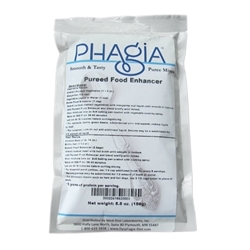 The Phagia® Food Enhancer is used to enhance the appearance and texture of pureed food. The powder is added to pureed food to produce a soufflé-like texture to help the food hold its shape to be sliced, molded or scooped. 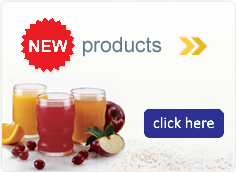 The Food Enhancer can be added to any pureed food such as meat, fruits, vegetables, etc. Ingredients: enriched bread crumbs (bleached wheat flour, niacin, reduced iron, thaimine mononitrate, riboflavin, folic acid, yeast), non fat dry milk, egg white solids, modified tapioca starch, cornstarch, palm oil, maltodextrin, sodium caseinate (a milk derivative), dipotassium phosphate, mono and diglycerides, sodium hexametaphosphate, and silicon dioxide (flow agent). Contains milk.